Summary: Those parents! Just when you’re ready for bed, they’re more wide awake than ever. 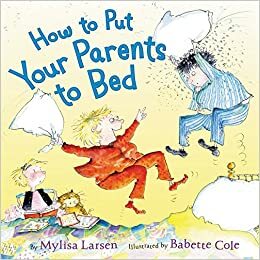 You try getting them in their pajamas, making sure they’ve brushed their teeth, and reading them bedtime stories, but they still want to have pillow fights, watch TV, or stay on their cell phones. You know they’re tired, but they insist on getting distracted by every little thing. When you finally get them settled, and are ready for some time to yourself, you’re so exhausted, you can’t stay awake another minute. 32 pages; ages 4-8. 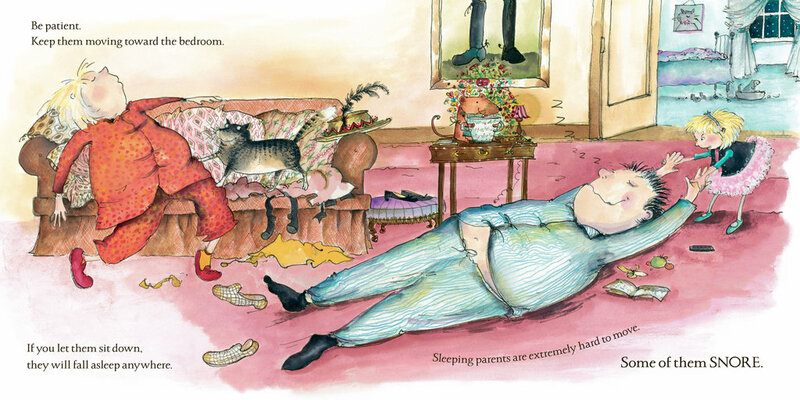 Pros: Kids will howl with laughter at both the goofy illustrations and the crazy text that turn the whole bedtime routine on its head. This would make a good beginner mentor text for procedural writing. Cons: I could have lived without the underwear scene. Although those under the age of ten will love it.